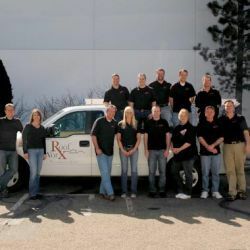 Roof Worx has been serving the Denver and Boulder areas since 1999. 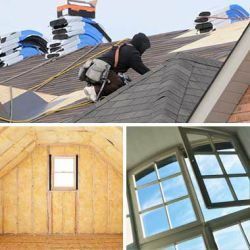 The company offers a full range of services from residential and commercial roofing to gutter, insulation and window installation and repair. Roof Worx has years of experience installing steel and vinyl siding, and the company's technicians specialize in solar roofing and complete solar systems. The company has grown since the turn of the century by taking on many new and innovative services, but Roof Worx's underlying business culture hasn't changed at all. These roofers still believe that each project deserves the expert craftsmanship, attention to detail and personal service that Roof Worx has become known for in the area. The roofers hard work and attention to detail has earned the company many commendations as well as the trust of their clients. The company is in good standing with both Tom Martino's Referral List and Team Dave Logan. They have earned an A plus rating with the Better Business Bureau of Denver and Boulder, and the team is a member of the National Roofing Association. The commendations continue with a Shingle Master Certification from CertainTeed and a Master Elite rating by GAF. Owens Corning lists this company as a preferred contractor. All of those certifications are impressive, but Roof Worx is even more proud of its customer satisfaction record. Clients are impressed by the speedy response in an emergency, often getting started within 48 to 96 hours. Customers also comment on how organized the service is. Even large projects requiring four or more crews are well managed so that all of the pieces fit together when the job is completed. 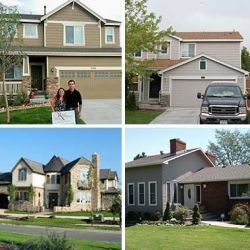 Homeowners appreciate working with representatives who are knowledgeable and polite. They always make sure to communicate clearly so that the client gets exactly what they want. There are no unpleasant surprises when Roof Worx is finished with a job. When building a custom home, homeowners want the best workmanship that they can find. Fixr has validated the email provided by Roof Worx LLC. Fixr has reviewed the content provided by Roof Worx LLC to match our community guidelines. Roof Worx LLC has been rated with 22 experience points based on Fixr's rating system.